What is Big Data? It is a popular term used to describe growth of structured and unstructured information. 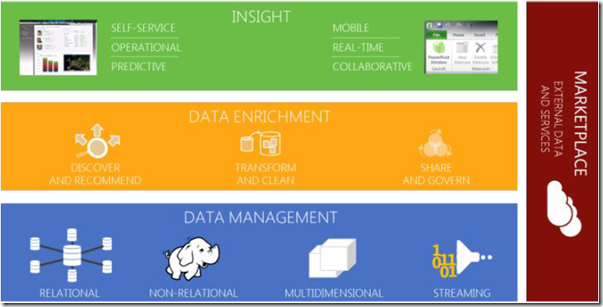 This post discusses the Trends driving the “Big Data” and Microsoft Big Data Solution. There are vendors in market which provide Hadoop deployments but most operate outside central IT operations. 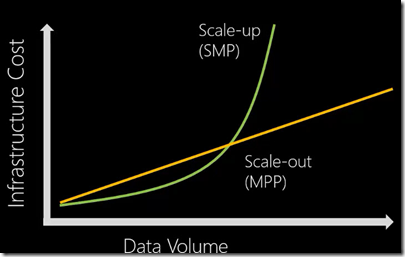 Microsoft Big Data solution can analyze over 100 petabytes of data to produce results. Microsoft Big Data solution contains tools like office and SharePoint which allows the users to have insights for everyone. 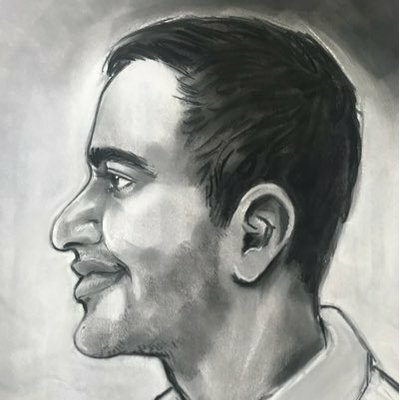 It also allows you to connect to the worlds data and services that are publicly available. 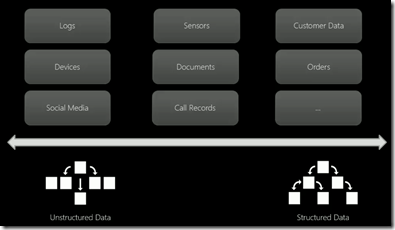 The DATA MANAGEMENT layer in above picture supports all data types structures, semi structured and unstructured data. The DATA ENRICHMENT layer is for discovering, transforming and sharing of data. BI tools on top layer gets the insights from analytics. To adapt the Microsoft Big Data Solution, it offers Hadoop both as a cloud-based service on windows azure or on-premise distribution on Windows Server. 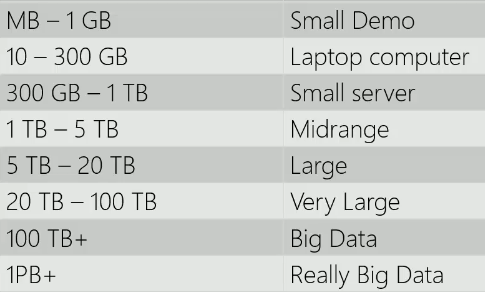 The word “Big” in Big Data is highly subjective, What you think big may not be the same as I think is “Big”. 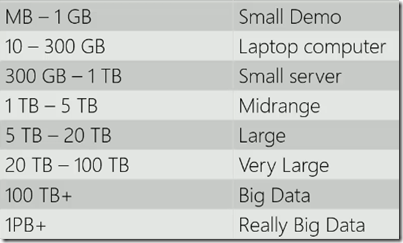 It does not mean that mid-ranged datasets not fit with Big Data solution. 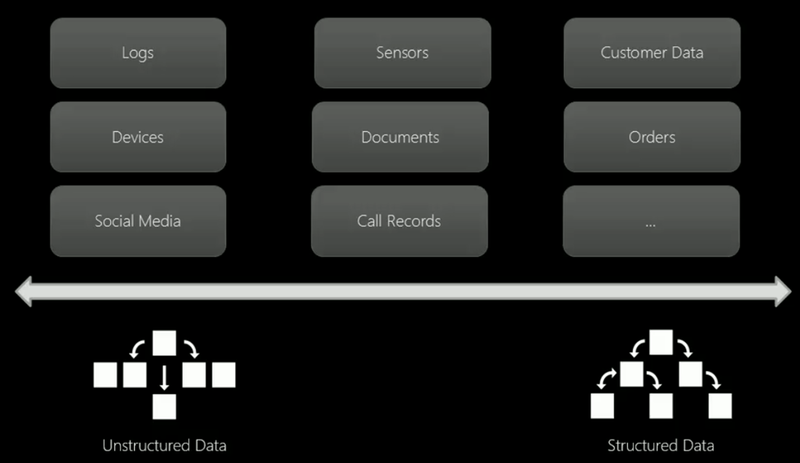 Varieties of data includes both structured and un-structured data. Structural Data example is relational databases. Things like social media, device records, documents and logs are examples for unstructured data. As data volumes are increasing, we have to decide which technology that we are going to use to process that data. Typical processing model that we use is SMP ( symmetrical multiprocessing ). In this model we add more CPU’s and memory as data volume and processing demand increases or we may buy new server that has more capacity. As shown in the above picture in SMP as data volume increases the cost remains somewhat flat but as we start to push data volumes you can see that infrastructure cost increases at disproportional rate. The Alternative to SMP is MPP Massively Parallel Processing, In this processing model you will notice there is a linear relationship between data volume and infrastructure cost. This trend shows why we choose this model for Big Data Technologies.